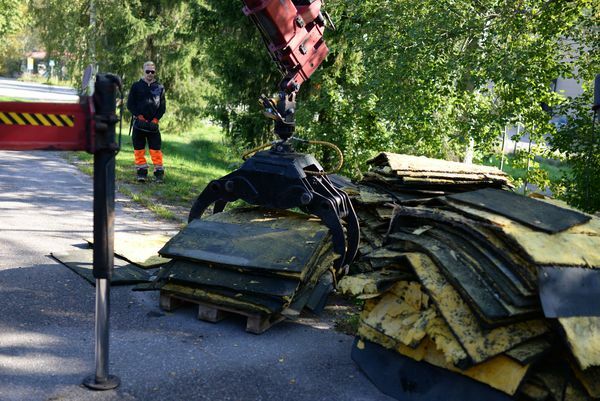 Situated at the Kujala Waste Treatment Centre, Tarpaper Recycling Finland Oy has solved a roofing waste handling problem, making use of roofing previously deposited in landfills or combusted. Tarpaper’s roofing felt processing facility handles bitumen roofing shingle and processes it into granulate. The granulate is used as a raw material and environmentally friendly option in asphalt mixtures. Recycled asphalt is used locally in asphalt pavements. The reuse of old bitumen sheets decreases the carbon footprint and carbon emissions of asphalt production by 10%. The pilot is estimated to have potential to save 6,000 tonnes of CO2 per 100,000 tonnes of asphalt produced. The pilot was nominated as a Finnish runner-up in the Procura+ Awards in 2017.